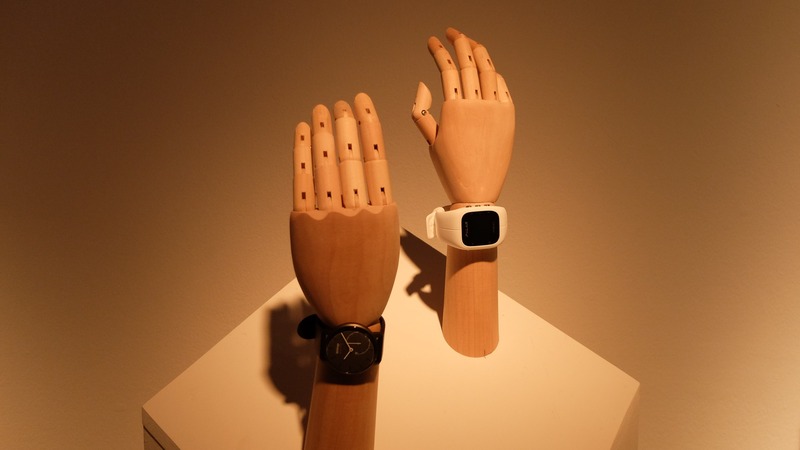 Wearable tech moves much too fast for even Amazon to predict what we'll be wearing at the end of 2015 but it's had a go anyway with its Christmas in July 2015 event, a showcase of everything the online retailer predicts will be big sellers this year. This year Amazon displayed a mammoth selection of products on the same day as its Prime Day deals were going live. We waded through the toys and fashion to see what Amazon is tipping to be big in wearables, fitness, connected health and smart home. Fitness trackers were big business for Amazon during the Christmas 2014 period and while that's set to continue, an Amazon spokesperson told us that it is expecting healthy smartwatches sales too giving a particular mention to the LG Watch Urbane's build quality. The Pebble Time is also available to buy already and we presume the Time Steel will follow it way before the holiday season kicks in. Other spots in Amazon's showcase were given to the Withings Activité Pop, Fitbit Surge, Garmin Vivofit 2, Jawbone UP3 and Fitbit Charge HR. As predictions go, it's not a bad selection - with the notable absence of the Apple Watch - though we could see new devices from any or all of these companies before the end of the year. Side note: we enjoyed the difference between how Amazon presented the smartwatches and trackers (as gadgets) to the fashion-heavy displays of its traditional watch brands. The two still haven't quite merged. Bluetooth headphones and running earbuds have done well on Amazon, unsurprisingly, but Christmas 2015 could see the first real surge in people buying connected headphones. Amazon will be selling Sony's Smart B-Trainer, for instance, which is essentially a Walkman for runner which adjusts track selections based on heart rate and exercise goals. It's launching in the UK this month and Wareable is going running with it very soon so look out for our first impressions. With shops like John Lewis and Selfridges in the UK vying to be the go-to place to peruse smart home devices, Amazon has upped its game by basically stocking everything. Nest, Netatmo, Hive, Canary, Tado, Belkin Wemo. Smart cameras, thermostats, smoke alarms, smart plugs. This Christmas, we'll see a battle between these up and coming smart home brands as families start to buy their first connected security cameras or baby monitors, say. A practical, if not thrilling, present for parents to buy each other when buying fun gadgets is irresponsible. Apart from the usual array of fitness trackers, smartwatches and smart home devices, Amazon's event also included a few oddball wearables and connected self gadgets that could prove popular in 2015. The £39.99 Kidizoom Smartwatch Plus is a funky, colourful wearable that lets kids take photos and videos that is part of a range including a child-friendly tablet and drop-proof camera. Alongside the Withings Aura which we've already reviewed, Amazon is also selling Lumie's smart wake-up lights, one of which - the Bodyclock Iris - actually includes aromatherapy chambers for oils like lavender to enhance sleep alongside its simulated sunrise and sunset settings. Also in connected health, the portable Qardio smart blood pressure monitor was on show - it's wireless, syncs to iOS and Android and makes rivals from the likes of Withings look very bulky. And finally, we didn't spot any GoPros but Amazon reps were very keen to show off EE's new 4G-enabled action cam. At £99 upfront with a monthly plan or a straight-up £299 on Amazon, it's more affordable than high end wearable cameras though its livestreaming feature doesn't extend to YouTube which is a shame.